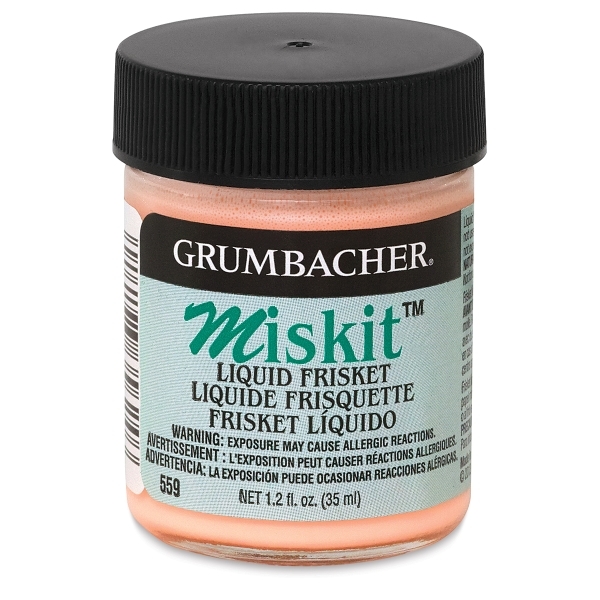 Grumbacher Miskit Liquid Frisket 559 is a fluorescent orange colored frisket, for use on hard-sized watercolor papers, photos, and other media, to mask areas that are meant to be painted once the dried frisket is removed. It washes out of pens and brushes with soap and water. 1.2 oz (35 ml) glass jar. ® Grumbacher is a registered trademark of Chartpak.™ Miskit is a trademark.